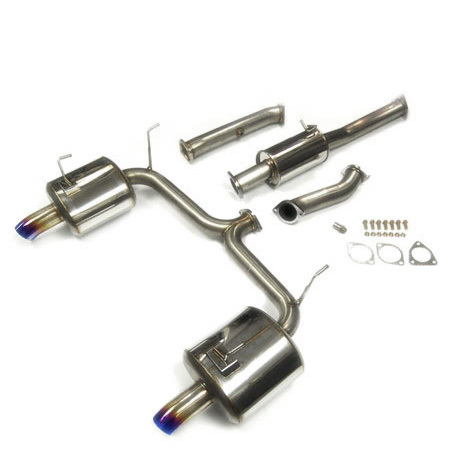 We have sold over 150+ Single exhaust systems and over 200+ Dual Systems. Decided to make a thread about it. NOTE: Test pipe sold separately. Entire system weighs only 24 lbs! Compare to the factory exhaust which weighs ~65 lbs. In collaboration with T1R, Evasive Motorsports is proud to present the T1R 70R-EM Limited Exhaust System for the Honda S2000. This exhaust will be available exclusively through us and on a limited edition run, so get yours while they are still available. It also fits on all 2000-2009 models (AP1 & AP2). ** Overall increase in HP mid-high end HP and torque. Compared to the J's Racing 60RS, this exhaust beats it in every range of the powerband. 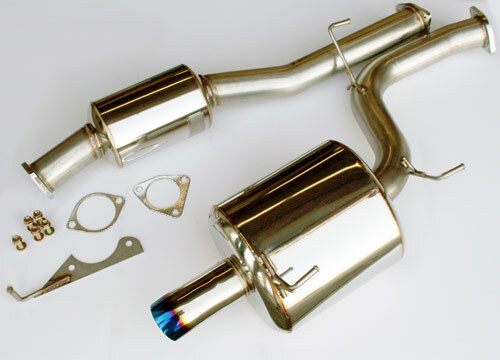 The exhaust is a full cat-back 70mm with resonator. The muffler is oval with slanted down tip. The exhaust offers a good balance between performance and streetability. Unlike most other exhaust systems, there is VERY LIMITED DRONE in the exhaust sound. View the video below for a sound demonstration at 45mph, 65mph, and 80mph. 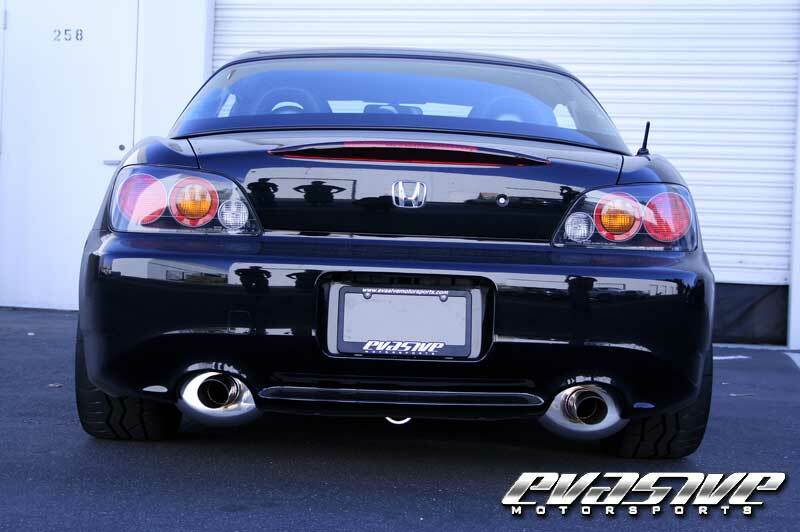 In conjuction with T1R, Evasive Motorsports brings you the flagship model of the T1R 70mm dual exhaust for the S2000 (hence the name of the exhaust: T1R 70R-EM). Ultra high flow designed with silent performance. Tuned deep throaty tone with close to zero droning. Made out of SUS304 aircraft stainless with professional TIG welding process. The highest quality and craftmanship that we provide. Not only does it look good, but check out the power gains from our dyno test. It's HANDS DOWN, the MOST POWER we've seen from ANY exhaust system for the S2000 (and we've tested quite a few). Compare the readings from the 100 percent stock s2000 to the exhaust only upgrade with factory catalytic intact! Is the tip burnt blue ? or just full polished ? In stock ready to ship! PM for Special Pricing!